ExtremeTech shows there's a grain of truth to the image enhancement techniques shown in TV shows like CSI, you can check it out over here. Believe it or not, there is actually a grain of truth to the software employed by geeky technicians in TV shows and movies that can seemingly reconstruct a high-resolution crime scene from a woefully pixelated source image or video. There is actually a way of, with software, of increasing the image quality of enlarged images. 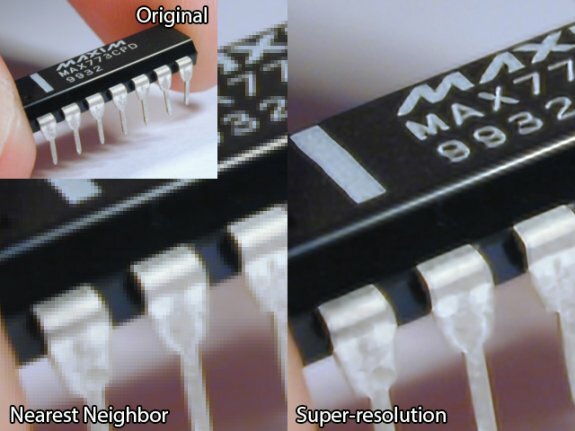 The technique is called super-resolution, and there are two basic approaches. The first approach takes a bunch of similar images of the same object, and then uses an algorithm to create a single image with the best/sharpest bits from each. The second approach is slightly more magical. In any given image, the same pattern of pixels usually appears multiple times — tiles on a floor, bricks on a wall, wrinkles on a face, spots on a butterfly. In each case, though, because we live in a 3D world, these patterns are slightly different sizes, and each pattern has a slightly different subpixel shift. If you group together enough of these pixel patterns, and take the best subpixels from each, you can work out how that pattern actually looks in reality.